Snorlax is one of the more difficult Pokemon to catch, even without it being classified as a legendary type. Trainers in Pokemon Go may have struggled to catch the brutish Pokemon, but now the game is going to make it a little easier to add it to their roster. 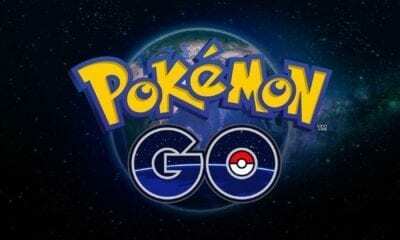 The Pokemon Company announced that Snorlax will be a part of the July Field Research quests. Below is the news brief from the Pokemon website. Get ready for more Field Research tasks and helpful rewards starting July 1. At 1 p.m. PDT, a brand-new set of Field Research tasks will be available that focus on Pokémon originally discovered in the Kanto region. As you complete these tasks, you may be able to encounter Pokémon such as Pikachu, Ditto, and Eevee! And, if you collect enough stamps to earn a Research Breakthrough, you’ll have an opportunity to catch an immense Snorlax that knows Body Slam, a great move that Snorlax currently found in the wild can’t learn. Below is Snorlax’s description from Ultra Sun and Ultra Moon. It has no interest in anything other than eating. Even if you climb up on its stomach while it’s napping, it doesn’t seem to mind at all! Pokemon Go has had success with the Field Research tasks since they were added into the game earlier this year. Since the quests were introduced, trainers have had the opportunity to catch the Legendary Bird Trio – Moltres, Articuno and Zapdos. However, it is interesting that Pokemon Go is deciding not have the July Field Research quests focus on a legendary Pokemon like it had in the previous months. Trainers were probably expecting Ho-oh or Lugia as the next reward for Field Research quests. Like the Legendary Bird Trio, Snorlax was introduced in the Pokemon Red and Blue games. While it was not in the legendary tier as the birds, Snorlax wasn’t a run of the mill Pokemon. In the first two generations of the core games, the remakes and later in X and Y, trainers encounter Snorlax when it blocks their path and must the Pokeflute to wake it up. Snorlax isn’t found in any other of the games, except by trade or evolving their Munchlax into a Snorlax. Some trainers may view the lack of a legendary Pokemon reward for July’s Field Research as a step backwards, but they would benefit from having Snorlax on their team. While Snorlax’s attack and defense are both at 190, its stamina is 320, which is the fifth highest behind Blissey, Chansey, Wobbuffet and Wailord. If a gym already contains one of the four aforementioned Pokemon, a Snorlax will be a nice complement to the defense. The Body Slam attack will help when it comes to defending gym battles. And of course, catching a Snorlax will bring a trainer one step closer to completing their Pokedex. The July Field Research quests isn’t the only news happening in Pokemon Go. Pokemon Go is in the middle of their Safari Zone event in Dortmund, Germany. The game also announced Squirtle as the featured Pokemon for its July 8 Community Day. The weekly patch for Fortnite has rolled out and v8.30 brings a number of changes, including the inclusion of Reboot Vans and Buccaneer’s Bounty Event along with a slew of technical improvements. Epic Games is taking an idea from their biggest competition, Apex Legends, and rolling out their own version of respawn vans, much like Apex’s respawn beacons. Take a look at the video below, but the vans are expected to arrive in update v8.30.